Philippines – Here in the country, Philippine passport is one of those important requirements or documents that a Filipino citizen must have, especially for those people who wants to work abroad the (Overseas Filipino Workers). 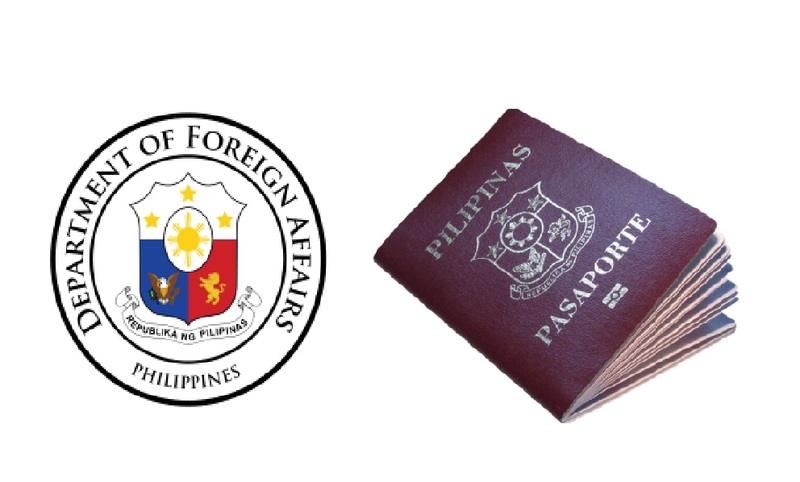 Aside from working abroad, Filipino travelers also requires to have a passport to visit the beauty of some neighboring country to have fun and relaxing and lastly, aside from working abroad or travelling abroad, passport can also be used as a personal identification in having transaction in any government agencies in the country. Now that we know the purpose of having a Philippine passport, how can we get one? In the old days, getting a passport is uncomfortable and tiring. Applicants must apply personally in any DFA Branches situated in some provinces and it takes for almost a whole day to complete the applications. But in today’s modern technology and with the help of the Internet, applicants can now browse the internet to set an appointment in any DFA accredited appointment system, preparing the applicants as much as possible all the requirements needed before they're personally come to any DFA Branches where they set their appointment. 1. Log on to their website www.passport.gov.ph. 2. Click “Schedule an Appointment”. Under that page check the Terms and Conditions and proceed to start appointment. 3. Fill up the application form correctly on the “Site Location” that you want to set your appointment. 4. Set the “Date and Time” for your appointment. 5. Fill up your “Personal Information”. 6. Fill up your “Family Information”. 7. Fill up the “application Information”. On the application type indicate if it’s new passport application or renewal? 8. Fill up your “Contact Information”. 9. Review your information before confirming it? 1. Confirm your chosen appointment within 72 hours. 2. Print your application form. 3. Bring your application form on the date of appointment chosen. 4. Do not sign the application yet. 5. Bring NSO/PSA Birth Certificates for proof of Philippine citizenship. 37 comments to ''How to Set Online Passport Appointment with DFA and Its Requirements"
pls help me about my case, nag expired po kasi ung una kung application, ndi po ako nakapag confirm within 72hrs/3days .. according po dun.. kusa pong mag cacancel ung schedule ko to give way for the other applicants last January 1st week pa po un.. but then until now ndi pa rin po ako makapag. register kasi i have to cancel pa daw ung previous schedule ko so i entered my appointment code as well as my email that i used the last time that i register. but still i cant open it to view the details to cancel my previous appointment, instead theres a red box(notif.) saying ...appointment code doesnt exist or expired ... if that was the case what should i do to make a new appointment ? Bakit ganito po ito? Lahat ng oras not available? Help po anong date mayron availl?thanks! Cebu DFA please open those slots starting from October onwards even until next year. My nephew will renew his passport expiring in Dec 2018 and another one will apply for a new one. We cN understand there are tons of applicants and I guess we can wait. What is annoying and frustrating is when you do not open the slots at all. Thank you. Ganito ka hirap maka kuha sa online ng passport..? Nasaan na Ang advancement of technology na Pina nga ngaladakan natin? But I pa noong araw pisikal ka na pipila pakahapon may matapos ka na? It ngayon ni Hindi language makasingit..
Sa Cebu po kahit every seconds ko pa e.checheck Wala pa ring slot,bakit??? May Mali po Yung information ko..ma edit ko pa ba Yun..
Sure po bang dpt mbyran ko na muna sya?pra mconfirn ung appointment q? Bakit gamit, makita mo available tapos pupils ka, tapos next mo balik ulit S pupils ka nang day at time. Talking araw n po akong nagpupoyat hanging 4am Pls. Naman Alison nyo naman to parallel balik eh kailangan ko nang MA renew passport ko mag expire n to ngaung August Pls. Hello po gusto ko po sanang kumoha scheduled para sa passport ko please help me how to get passport scheduled..
Goodmorning po. Meron po akong passport kaya lang po nung 2013 pa nag expired marerenew pa po ba yon or babalik po ako ulit sa umpisa para sa panibago!? Thankyou po!. The appointment code was not sent to my account. What should I do? Kindly,respond on my account,ASAP. God bless! I am a PWD. .. this is my first time to apply for a passport. Do i still need to apply for an appointment online or just walk-in? What are the requirements po? I will highly appreciate your response. Good day po.kapag po ba matagal ng nde nakapagrenew ng passport ay renewal pa rin po ba un o kukuha na po ng new passport.2013 po dapat ang renew.salamat po. Guys question ano pong requirements ang dadlhin pag mag rerenew ng passport thank you ..